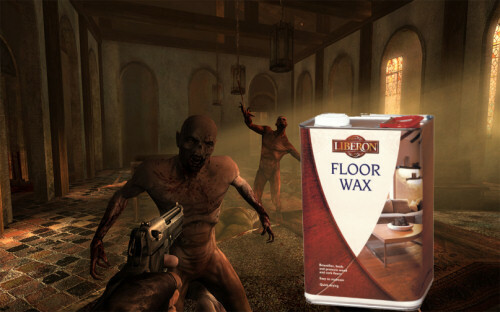 We enjoyed Killing Floor, that's a fact. But there were some issues with the game, mainly little nagging bugs that hampered our co-op experience from near perfection. Today the floor is a lot cleaner thanks to a major patch released by Trip Wire interactive. The patch fixes around twenty bugs and glitches, as well as adds a dozen or so features to the game. Don't believe me? Here's the full list. And don't forget you have less than a month to enter the map making contest! Fixed a memory leak causing performance to degrade the longer you played when in multiplayer (resulting in very low framerate sometimes in the final waves). Improved texture and file precaching to reduce issues with hitching. Voice Over IP is now usable in the Lobby Menu while waiting for everyone to ready up. Cash amount in the Trader Menu updates when someone gives you money while trading. Improved the readability of chat fonts. All melee weapons now have an alt-fire, which is a "power strike". Fixed the timing for when damage occurs from melee weapons. Added a Map White List which will now only allow perks to be earned on official and approved custom maps (Makes maps such as KF-Leveling worthless). Fixed "Connection Failed" endless loop when failing to connect to a server and clicking the Back button in the Server Browser. Fixed Zeds sliding instead of animating online at particular times. Fixed blowing off the limbs of live Zeds, such as the Bloat's legs. Added random moving attacks for specimens that would always just stop and attack before (Bloat, Gorefast, Scrake). This makes the attacks less predictable, and players can no longer just backpedel to escape any attack from these Zeds. New Scrake behavior - the Scrake will now rage sooner, and will now keep moving toward its target when attacking. Additionally, it will randomly charge at its target when attacking, making the Scrake more effective. Added improved behavior for FleshPound to prevent "kiting". The Fleshpound will now get frustrated and charge players regardless of if it is shot if players keep moving away from it. Fixed Joining as Spectator not allowing you to View players. Fixed Spectators needing to "Ready" before game will start. Improved some of the fonts for in-game messages and interface text. Reduced movement speed for Medic Perk to deter "kiting"
Page created in 0.6906 seconds.